Well...we've been foster parents for three months now, which means we have ALL the answers. Oh wait... it actually just means we've been asked ALL the questions, but we're still pretty clueless about a bunch of it. 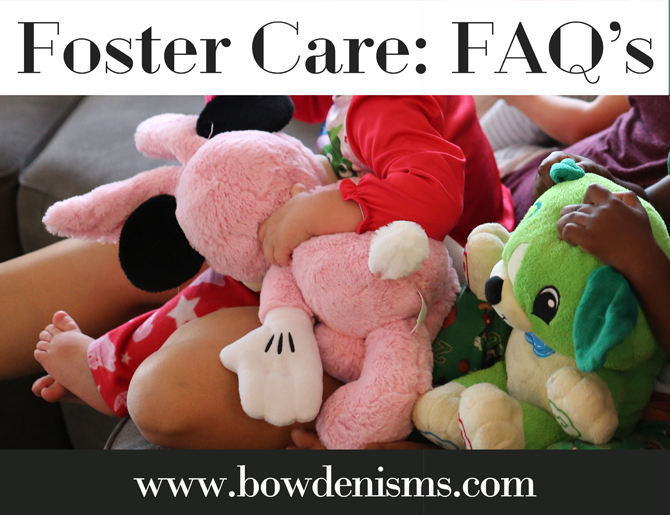 The world of foster care can be a lot to navigate, so even though we're far from experts, I thought it would be helpful to share some thoughts on some of the things we've been asked along the way. I originally wrote much of this as an email to a fellow foster-mom-in-training (a woman after my own heart- she took me up on my offer to chat by sending me a note with no less than 20 questions! ), I'm hopeful a little FAQ session will provide some insight into how the system works, what our journey has been like so far, and answer some of the questions you might have. I should caveat this heavily before we begin that our experience is of course just one in a sea of differing scenarios, state laws, agency polices and individual circumstances. So not everything will apply to everyone or everywhere. My goal isn't to tell anyone what's right or wrong...I just want to be open about our journey in an effort to give others an insider's perspective into this wild little world. 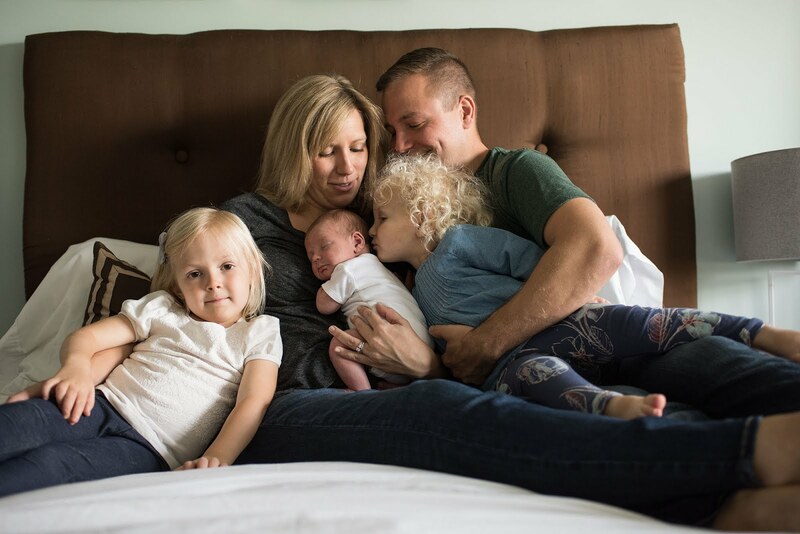 How did you and your husband decide to become foster parents? The long story short is that we were exposed to foster care first hand when our oldest daughter was one- a little girl in her daycare class was in care. This was the first time I had ever personally known someone in foster care, and it broke our hearts to be reminded that there were kids all over, just like our daughter, who needed homes. We explored foster care a bit then, but it got put on the back burner for a while as we had two more kids. After Miller was born, we were thinking about if we want to grow our family more, and if so, how? Foster care came back around as something on our hearts. So we started looking into it, somewhat tentatively...and just kept moving through the process. Our basic reasoning is that we have been blessed with more than enough, and Jesus calls us to love those in need. Simple as that. (Though it is actually in NO way simple). This is a way for us to force ourselves to live out our faith in bigger ways than we've ever known, to teach our kids what it means to love and serve, and to be intentional and generous with all of the resources we've been given. (If you're interested in the long story long, I told a bit more of the story at church as a part of a series on social justice). How long after you were done with the training and the home visit did you receive your first call? We started getting calls as soon as we were certified. We are certified for up to 2 kids, ages 0-5. Almost all of our calls were for sibling placements. We did a few respite weekends (watching other foster kids for a short time to give their foster family a break) for sibling groups of 2, ages 2 and 3, and learned that many toddlers was just too many. We probably got about a dozen calls...we said no to a lot of them, which I felt bad about...but it was often for situations we just weren't able to deal with (usually more severe medical needs than we can do) We said yes to a few- maybe 5?- but weren't chosen. Usually we didn't hear why- it could be that the other family lived closer to the bio family (so the kids could stay with their doctor, or school more easily) or because they were a better fit (maybe they had a stay at home mom, or older bio kids) or it could be that they just responded sooner. The waiting was SO hard (more on that here). I was impatient to finally DO something...I hated feeling helpless when I knew kids were in need. And it was stressful to feel like we were always on hold while we waited on maybe getting a call...a lot of hurry up and wait. Every time a call came it was like a flurry of drama while we determined if we could do it, and then it would all be for nothing when they chose someone else. I felt sure that God would bring us the kids we were meant to have, but it was still really hard to be out of control. How old are your foster children? How did you meet them? How did you introduce them to your bio children? They are sisters, ages 5 and almost 2. It was a placement call in the middle of the night. (that was the first middle of the night call we had ever gotten). My phone rang at midnight and the case worker said they had 1 year old and 5 year old sisters that needed picked up right away. They told us a little bit about the specifics of their situation (what they knew, anyway) and asked if we'd be willing to accept them. We said yes, and they called us back about an hour later and said they chose us, and we could go get them. It was my first time to the county office...I walked in, filled out some forms, and was handed two little girls. I put them in the car, and we were home by 3AM. An instant family of seven! (Our kids had no idea, obviously, so they just woke up to have two new kids in the house!) The next day was complete pandemonium. It was a Friday, so the rest of our life just kept moving as normal (I had to work from home, the other kids went to school, we had to deal with a plumber appointment...) We had to get about a million appointments set up, forms filled out, coordinate case worker visits, and enroll them in school. We weren't able to get the older one into school for at least a week, so it was stressful coordinating coverage in the meantime. I was thankful for the weekend to catch our breath just a teeny bit, while dealing with such sudden change. How long have you had your foster children? How long are you going to have them? Do you think they'll go back to their parents? We got them just shy of 3 months ago. I won't (and can't) talk about the specifics of their case, but it is pretty typical in that there is no timeline on the placement...it's just as long as they need us. Theoretically, the state aims for some form of permanency after about a year in care, but cases can stay open for years depending on the specifics, and how parents "work their plan". There is also a chance that kids could go to other family with little to no warning, because the county is continually searching for kinship options while they're in care. So they're ours...until they aren't. We stay up to date with the case, and how things are progressing, so we'll likely have some idea if it's moving more towards reunification (or not) but we're not in control (or really even consulted) of that, and it all really comes down to the case workers' recommendations and the judges' decisions. Are you open to adopting if that were to come up? Totally. We know that's not the goal of the system, but if kids are not able to be reunified with their families, and we feel we're a good fit for the kids, then we would be open to and excited about the idea of adoption. In our current circumstance though, our primary role is to support the bio family, so we pray continually for transformation and healing for them. Do the kids see their parents? Have you met them? How do you talk to your foster kids about their situation? The kids have supervised visits for one hour a week which is pretty standard. Visits are at the county office which is about a half hour from our house. We drive them there, and I just wait in the lobby while they visit in a room with a case worker supervising them. (Typically one of us goes, and the other one stays home with our bio kids). I see the bio parents at each visit- we usually talk for a minute or two before and afterward, and then go our separate ways. I try to make them feel supported and connected, so I bring artwork from the kids, photos, and write them a card with details about our week, and general encouragement. I also set up a google voice number so we could text or call each other, without me having to give out my real phone number. We text or call a time or two a week usually- either about logistics, or because the kids wanted to chat, etc. The little one doesn't obviously understand too much about the situation, but she's definitely confused about it all (leaving visits is hard for her). I can't imagine what it's like to be plucked out of the only life you've ever known, and dropped in an entirely new one. She's resilient, and happy, but I'm still broken hearted that she has to go through all of this. The older one obviously is much more aware and able to articulate things. We've explained things at a high level- similar to how we talk to our bio kids. She knows why she's with us, and she knows that her parents are going to work hard to make some changes, and be able to take care of her well, so that she and her sister can go home. That's over simplifying it of course, but it's what she can understand. Because she's older, she can tell us a little more about what she's come from, so we get glimpses into her life that way. She misses them, and asks a lot about visiting them, or talking to them, or even going home. We just remind her that our job is to take good care of her, but that we also really want her to be able to go home because we know how much her parents love her. We try to show her that no matter what, that she will always be loved here. So...how does the money work? Do you get paid? Do you get help with childcare? Is anything else covered? Well, yes, we get a "per diem"- a set amount of money for each day for each kid. The amount is determined by the county, and is based on the level of care of the kids (ours are "traditional"- mostly meaning they have no major special or medical needs). This amount, along with all of the other financial details varies WILDLY by county, but the long and the short of it is- I assure you, I am not getting rich on this. The money is designated as income- it's "reimbursement"- and is intended to be put entirely towards caring for the kids. With a few exceptions (see below) we pay for absolutely everything the girls need- food, clothes, activities, housing, toys, childcare, etc. So while the stipend helps, it doesn't come close to actually covering what we spend. I don't say that to complain- it's just the honest truth. I've heard stories of course, of awful and corrupt foster parents just collecting a paycheck, but I've never met a single foster parent that even considers the money as a factor. It's obviously a logistical concern that you have to be aware and prepared for, but it's never a motivator. The kids all get medicaid, so all of their medical needs are covered (including eye and dental). I believe this is standard across the US. Kids who are under 5 qualify for WIC (food stamps), so our little one gets some free food each month (it's probably like $20-30 worth of food, but it's REALLY specific items- think "16 ounces of whole wheat bread"). You have to go to the WIC office and set all that up, so it took us two months to actually get that going. When kids are placed, they get a one-time clothing voucher (maybe a month or two later), which you can take to a specific store and shop for the items on their designated list (determined by age, and potentially how much they had already when they came into care). Think of it as kind of a "back to school" spree, where you can stock up to build them a wardobe of essentials. There are a few places around town (museums etc.) that give discounted memberships to kids in foster care or on medicaid. But the big kicker for us...childcare assistance..is ZERO. Now, that is dictated by county, so there are other counties/states that have much more supportive systems, but here...it's nothing. All of our daycare/school costs are 100% out of pocket. Our per diem is actually much lower than the cost of just childcare (let alone all the other costs) so we "lose" quite a bit of money each week. I wasn't ignorant to that going into this, but I did get some conflicting information about ways we could potentially receive assistance, or different programs the kids might qualify for, so it wasn't totally clear. Basically, with older kids, public school helps, but for little ones, it's always going to be way out of whack. (I have heard foster kids can qualify for early intervention type preschool- but those programs aren't full time, so they aren't an option for us).We're mostly ok with that...we view it as a ministry- we're giving our time, effort, and our money to care for these kids. That being said, the idea of theoretical investment is a bit different than the reality of watching money flying out the door, so while we're prepared and equipped for this, it does still get a little overwhelming at times. I've received sort of flippant responses about this at times (from people in the bureaucracy of it all) telling me basically- that's why working parents usually take school-aged kids. So in the end, it's our choice to work, and it's our choice to take in these kids. So- it is what it is. What about all the appointments they have? How do you make that work when you both have jobs? We have an agency case worker (designed to support us) and a county case worker (designed to work directly with the bio family)- they each come to our house once a month for about 30-60 minutes to chat and see the kids (This was once a week for the first month). The CASA (court appointed special advocate...the person looking out for the kids within the court system) also comes over once a month for 30-60 minutes. I've been able to schedule all of these visits in the morning or the evening, so it's not too bad, just a lot to keep up with. Aside from that, we're lucky that our kids don't have special medical needs, so we had to do a lot of doctor appointments in the beginning to get them all set up, but then it hasn't been too much ongoing. It's still more than bio kids though, because you typically have to get them all caught up on immunizations or other medical needs that might not have been taken care of before they were in care. One inconvenience is that I haven't been able to find a doctor that takes medicaid, so we use the children's hospital program just for foster kids. They're awesome, but they're far from our house, and only have weekday appointments at limited hours. So it's super inconvenient for small common things like ear infections etc. Our older one is also in counseling which is pretty standard for kids who are old enough to understand their situation. It just provides them an opportunity to process some of the things they've seen, and have some coping skills for all the transitions in their life. She meets with a therapist once a week, which is great, but has been a lot to coordinate. It's harder to do evenings with that so we're trying to do every other week at her after care program while I'm at work, and every other week at home. (For us this is all covered by medicaid, and coordinated through our agency case worker). Visitation is weekly as well, so that wipes out one evening a week. They're not super flexible in scheduling this, but since foster parents do all the transportation to visits (some other states/counties have workers who will pick kids up and drive to/from visits) they do at least have to try to work around our schedule. We have the last appointment of the day, at 6pm, so I have to leave around 45 minutes before hand to ensure I'm there on time. (I HATE the idea of being late...I would feel awful about taking time away from their visits). Then there are monthly "family team meetings" where we discuss the case, 90 day court hearings (which I don't go to...but theoretically you could), ongoing training to keep our license up to date (I think the requirement is somewhere around 30 hours a year), and regular paperwork and documentation requirements. So- You CAN work full time and care for kids, but it requires some level of flexibility. I occasionally skip out for a bit to go to appointments or meetings, and I've arranged to work from home on visitation days so that I can get them from daycare and to visit on time. Dustin's job is flexible as well, our daycare is always open, my mom is available to watch the kids in an emergency....These are the things that have made it work for us. If the job isn't flexible, or you don't have people who can jump in or pick up the slack here and there, I don't think it's sustainable. I still feel guilty a lot, that I'm not giving my job 100% and I'm not giving my family 100%. I honestly always felt that way, but it's magnified now, for sure. Once piece of advice I've heard that I think is really solid, is to think of each foster child as the "workload" of two bio kids. They come with all of the needs of typical kids, with an extra layer of legal requirements and physical/emotional support. This is especially true in the beginning as you're getting everything set up, and adjusting to all the newness. It does settle down, and get a bit more routine after a month or two, but working within the system, keeping track of all the needs and details is still a pretty big task. How did you talk to your bio kids beforehand? How do you think it has affected them so far (positively or negatively)? What types of things did you do to ensure they were safe and well cared for within this process? (*I reworded this question a little, because for all people's good intentions, this still typically comes out more like: "Aren't you scared that will mess up your own kids?" I try to answer the intent of this question, rather than react to how it's worded). Our kids are 6, 4, and 2, so they're a little young to really understand it all, but they do get it on some level. They know we're giving a home to kids who can't live with their parents right now, and that's about it. They were very supportive of the idea prior to a placement- they were always hoping we could say yes to the calls. And now that we actually have kids in our home, they are learning the same things we're learning- just at a kid level: patience, unconditional love, generosity...It's really hard for them sometimes, but not much more so than the challenges that go along with being a part of a big family in general. They have to share a ton, learn that you don't always get your way, figure out how to problem solve, compromise, and have tolerance for others. So for the most part, I think it's good for them...even thought it's really hard. I think it's important that they're learning what love is in practice, vs. just being told about it. Our kids do struggle with patience (can't blame them!) and are showing some negative behaviors a little more so than usual- like tantrums, or getting sassy. But with girls ages 6,5,4, it's pretty expected that they'll bicker a lot. I don't think the change is really from foster care specifically...it's more of just the transition of new people in the house, and getting less attention than they're used to. It's nothing unmanageable, but it is there. We've seen it play out differently in each kid. Our oldest, is a "giver" so she sometimes just gets overwhelmed by constantly trying to share, keep the peace, and accommodate siblings that don't always make the effort in return. But our middle child tends to get frustrated and react with anger, and attempts to "protect what's hers". We try to do alone time with our kids, and take our bios on "dates" so it can be just them again sometimes, which seems to help. We've also started taking once a month respite, to get a break for the weekend, which has been GREAT. The girls love it, and we're thankful for it too. We've had a lot of talks about how to treat others, how to see their perspective, what grace looks like...it's all big concepts, but it's good for them to be immersed in it, and have a chance to put it all into practice. Overall, even though it can be challenging, they continue to say they're glad we're doing it. It is amazingly large, and overwhelmingly deep. I don't say that as a brag at all; I say that as a thankful praise of what I've been given. We have amazing people in our life that have come along side us during this process, and I am continually astounded by how "the village" is caring for these kids (and us!). In the world of foster care, community is a must. I knew we would need support, but I didn't know how much we would lean on people- emotionally, logistically, financially. This entire journey has been harder than I imagined...and honestly it just wouldn't be doable without people to lean on. We're super active in our church, and are blessed to have a lot of family in town. They're all super supportive of what we're doing (which is not always the case)...Sure, they occasionally think we're crazy, but they're still willing to help anyway they can. They've cooked us meals, bought us gift cards, loaned us clothes, watched our kids, prayed for us...on and on and on. Even our jobs are supportive- with our bosses allowing some flex time when needed, and our coworkers jumping in with generous thoughts and gifts. Are you friends with other foster parents? I am now! In the beginning we didn't know anyone who was doing this...so I just reached out to anyone who would talk to me about their experience. I got connected with other moms through our agency, I started following other foster moms on Instagram, and I found that the more I talked to people about our decision to get involved with foster care, the more I found connections through friends or family who had also fostered. After we got certified, another family at our church started going through the process (with our same agency! ), and I even found another foster mom in our neighborhood! Having people who "get it" has been invaluable...whether that's friends in my life already, people online, or other local foster moms. As much as our friends and family are supportive, they don't understand everything the same way as people who are actually in it too. I need people that I can be real with, and share the ugly stuff without fear of judgment. This has been a little harder Dustin- he hasn't found as many people he can connect with specifically on it. I think moms tend to be better at community building, and I'm naturally extroverted, so I seek that out. But again- I think this is another "must" of foster care. You've got to build your community of people who are willing and able to be "in it" with you. Do people ask “are all of these your children”? How do you answer? People ALWAYS make comments (we are kind of a traveling circus!). To strangers we usually just smile and say, "Yep! They're ours!" I don't need to get into their story with people at the grocery store, and I think it's important that all of our kids know they belong. The age difference doesn't quite make sense, so if people ask enough questions, they usually figure it out. (We're asked a lot if some of them are twins, and I usually just say something vague and weird like- "Not exactly!"). Their teachers all know the situation, but to friends from school I've basically said- these kids need a place to stay for a while, so they're with us." That's usually enough to satisfy the curiosity without giving up our kids' right to privacy. What about babysitters? Are there certain requirements around that? This is blessedly simple now. There is a relatively new rule called prudent parenting- it's a federal act that basically states you can parent foster kids the same way you do your bio kids. It's designed to give normalcy to kids in care- to allow them to do the same things typical kids do, including school activities, and sleepovers, etc. So anyone who normally watches my bio kids is fine- no age requirements or background checks necessary. The only issue we've had is we have 5 kids 6 and under, so it's a lot for one person, or someone without experience (not to mention it gets expensive for us). So we have to be thoughtful about who we get- we often get 2 sitters, or ask multiple family members to help. What have you learned so far? Do you think you'll do this again? If so, what would you do differently next time? Well, we've agreed not to discuss next time until we're done with this time. ...It's just too much, too soon while we're in the thick of it with our current placement. But that being said, we have learned a lot that could inform how we move forward, or could at least be used as unsolicited advice for other potential foster parents. First- if you're certified for more than one kid, be prepared that you'll likely get a lot of calls for siblings. It's a huge need, so if you say you can do it, they're going to ask you. We were intentionally certified for two, because I feel strongly that siblings should be kept together. But in hindsight I would recommend taking one kid only for a first placement. The first time around is crazy enough, so starting "small" would be wise. The one good thing about siblings, is that it's multiple kids, but one case, so all of the meetings, visits and support people are consistent between them. I know some families take multiple placements at once, and the thought of dealing with two sets of all of the logistics makes me crazy just thinking about it. But God bless 'em. In regards to ages, I've heard a lot of advice to follow birth order- meaning- only take placements younger than your youngest bio child. That makes it more like adding another bio baby to your family. Not easy, but not totally wacky. Adding a kid in between other kids can rock the equilibrium of the family; the kids may feel like their place is being threatened. I've also heard that "artificial twinning"- taking placements roughly the same age as your kids- can be challenging because it can breed a lot of arguing and competition. So I would recommend starting with a child younger than your youngest, to maintain as much of your rhythm as possible. I know lots of people who have success with other age ranges and scenarios, but it's a rule of thumb that I think is worth following at least at first. The way we did it is doable, it might just harder than necessary, especially with it being our first time. I've also realized that I was a little naive about how trauma would actually present within kids. I think on some level I expected these kids to be similar to mine, and be able to mesh with our family the same way friends or schoolmates might. But in reality- the situations these kids come from are tough- and as a result, they've developed much differently than the kids I'm accustom to dealing with. Our foster kids aren't bad kids, but they are different than my bios...for lots of understandable reasons. I've heard that you should assume kids in care are about a year behind their actual age, emotionally/developmentally. So while we have a five year old, in a lot of ways she's younger than that, and we've had to do a lot of work to make up for things she's missed, and help her catch up. So all of that being said, I suppose I would just be more selective about what placement I would accept. I felt a little bit of guilt with each call, like I should say yes. I was also impatient- eager to help and get involved- so I may have been willing to consider things that we might not have been totally equipped for. That's not to say this placement was a mistake, but I think we jumped into the deep end (with great intentions). Next time I would limit things to be more cautious about our capacity. I'd rather be conservative, and find out we're actually able to give more in some ways, than to get over extended, and have all of us suffer for it. I'm learning that we can't, and shouldn't do everything...it's ok to say no or at least "not now". We did a little bit of respite to get started, and I would definitely recommend that. Having different kids in your home short term, helps give you an idea what might work for you. No two placements are alike, but it still provides a glimpse into what fostering is like, and what types of scenarios might be the best for your family. I'm not sure I can be a foster parent right now...but what else can I do to help? Let me just give you my phone number...and access to my laundry room! There are a ton of ways to get involved even if fostering isn't for you. Getting a foster placement is very much like having a new baby...families need all kinds of support as they get used to a new routine. 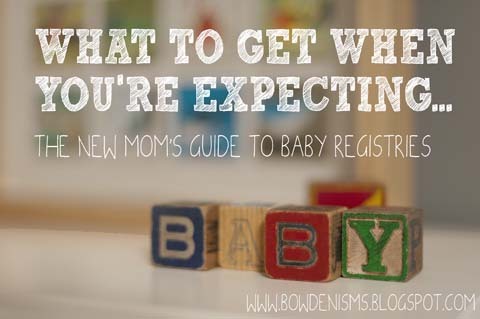 So if you know someone who has just welcomed new kiddos, a meal (or a gift card for a meal if cooking's not your thing) is super helpful, just to alleviate one more thing on the to-do list. Or babysitting is always a welcome gift- whether it's giving the parents a break one evening, or just watching the bio kids, while the parents take the new kids to an appointment or their visit. Transportation could even be an opportunity- there's a lot of shuttling people in different directions, so having someone pick the kids from school, or helping carpool to an activity is a huge help. If you have clothes or supplies you're willing to lend, that's awesome- a lot of kids come into care with nothing, so it can be a scramble to get them all the things they need right away. But even if you don't know a foster family personally, you can still do a lot for kids in care by talking to your county office, or a local foster care agency. Many collect supplies for "welcome bags", do diaper drives for low-income families, or organize gift collections for holiday celebrations. P.s. You can see more of our foster care posts over on Instagram, or join in the discussion with some people who actually know what they're talking about, here.